Babri demolition case: Why ex-UP CM Kalyan Singh will not face trial after SC orders trial against BJP leaders? Why the senior BJP leader and the former Chief Minister of Uttar Pradesh will not be bothered after the outcome of CBI’s petition despite being having charges of conspiracy in the case? After the Supreme Court allowed CBI’s appeal challenging withdrawal of conspiracy charges against Senior BJP leaders including L K Advani, M M Joshi, Uma Bharti and others in the Babri Masjid demolition case and ordered trial on a long list of BJP leaders, Ex- CM of UP Kalyan Singh will be excluded from the proceedings. So why the senior BJP leader and the former Chief Minister of Uttar Pradesh will not be bothered after the outcome of CBI’s petition despite being having charges of conspiracy in the case? 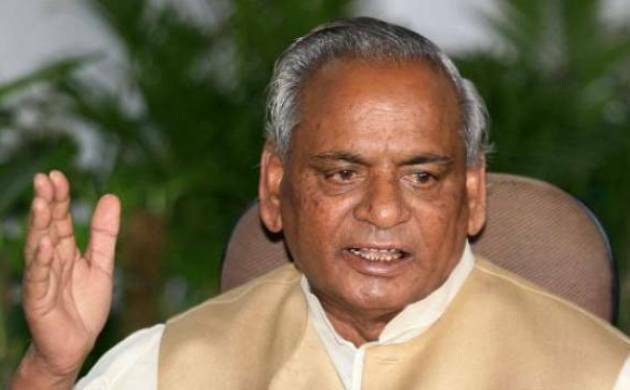 Being the present governor of Rajasthan, Kalyan Singh enjoys immunity from prosecution, provided by Article 361 of the Constitution to the President and governors during their term of office. As long as Kalyan Singh is the governor of Rajasthan or any other state, no court can summon him to face trial, either civil or criminal case even if the Supreme Court revives the case against him. Article 361 of the constitution says that no court can issue summons to the President or governors in any case. ALSO READ | Babri demolition case: What next for Advani? How the apex court’s decision would impact his political future? Kalyan Singh took charge as the Governor of Rajasthan on September 4, 2014. His tenure of 5 years in the office will come to an end on September 3, 2019. Babri Masjid case: Will Uma Bharti lose her portfolio in Modi govt's cabinet?